Do you love SkyBlock? Do you love mods too? Then Ex Astris is the mod that will help you bring your mods to your SkyBlock. Originally known as Ex Aliquo, it was moved to 1.7.10 by LoveHoly. Now, the reigns have been passed on to me. The config file has been overhauled in version 1.13. Please delete and re-create the configuration file ExAstris.cfg. While changing the config is never something I like to do, trust me when I say this one is way more manageable and expandable. MineFactory Reloaded - Rubber Tree Sapling can be obtained from sifting, Rubber Tree Saplings/Leaves can be composted. Natura - Saplings and Berry Bushes can be obtained from sifting. Redstone Arsenal - A brand new RF Hammer! Tinkers Construct - OreBerry bushes can be obtained from sifting. Two new modifiers! Thaumcraft - Shards can be obtained via hammering. New mob spawning dolls. Thaumium Hammer and Barrel. Thaumcraft Shards can be obtained by Hammering Grass, Double Sandstone Slabs, Nether Brick, Double Stone Slabs, Ice and TNT. Two new Tinkers Construct modifiers are added: "Hammered" - makes the tool act like an Ex Nihilo hammer, and "Crooked" - makes the tool act like an Ex Nihilo crook. Get these by using a Diamond Hammer or a Bone Crook as modifiers. 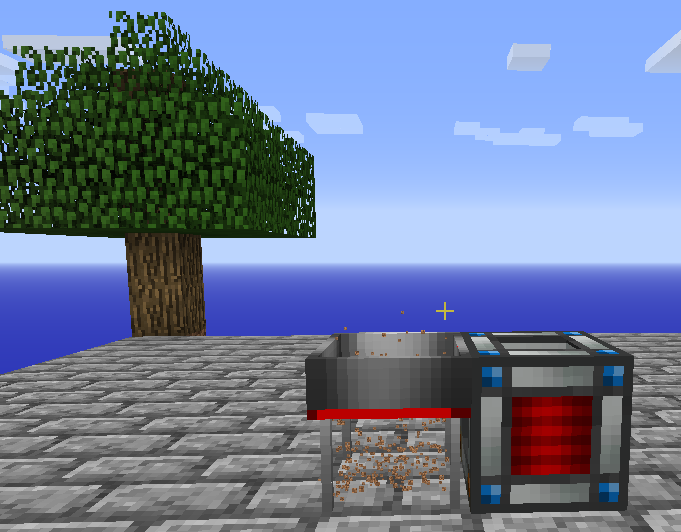 The Automatic Sieve has also been added. Takes RF to do your sifting, and can be upgraded to run faster, and also have an effective "Fortune" modifier, at the cost of more power. Please report all bugs and suggestions to my GitHub page: https://github.com/MikeLydeamore/Ex-Astris/issues. I will still be checking the LoveHoly repository, but it is more reliable to utilise the new fork. Please include a crash report, and steps to reproduce the problem. As per LoveHoly's original license (and mine also) you are 100% free to include this in any modpack. I would appreciate knowing if you do, however, this is not a requirement. There's something wrong with the thaumium barrel, when I put a freezing doll/ thaumic doll in the thaumium barrel filled with water/ witch water, after they finish transformed, it shows 'Incoming!' on the WAILA, but no mobs were spawned, and no item were summoned.I'm pretty sure that my mod version is the newest(1.7.1.0-1.16-36). Did anyone know how to deal this problem? THe crucible from EX Nihilo is not acting as a mini smeltery. I can't put in iron solids to melt them like in the original mod from the original author. As you have a branch of Ex Nihilo Adscensio for 1.10.2 and 1.11.2, could this mean a possible port of Ex Astris for those versions? If you cannot do it yourself, I'd be glad to build Adscensio and send you the built jar for upload. Does Ex Astris make Ex Nihilo metals (e.g. aluminum and copper ingots) compatible with Tinker's Construct, particularly the smeltery? I'm playing Agrarian Skies 2 and finding that Ex Nihilo metals are not working in the smeltery, and I'm wondering if there's anything I can do to make them compatible. Ex Astris is part of the Agrarian Skies 2 modpack, so I was anticipating that the ingots would be compatible. Can you update to 1.10.2 please!?!?!? hi im trying to make my own world with mods trying to make my own skyblock challenge world and ive added in industrial craft 2 but i cant seem to make ex astris recognise it is there any solutions ie edditing the config file and if so what would i need to put to make ex astris add all the ore from IC2?? Ex nihilo has support for ic2! Has anyone else expeinced problems keeping power in the autosieves? I have had this issue with both lava gens and passive reactors from big reactor. The sieves will work fine when first connected, but after logging back on they immediately lose all their power, and can only start working again if I break them and replace them. Hey. I'll be using this mod in a pack on TechnicLauncher, called Ikigai. Thank you for this great mod. Can you make the metallurgy ore dust work in tinker's construct smeltery? Why wont the automatic sieve show up in NEI? Am I missing mods? And if so can sombody tell me what im missing? I currently have Chicken Chunks, Code Chicken Core, Ex Nihilo & Ex Astris (obviously), Tinkers Construct & Tinker Tweaks(& mantle), NEI, and thats it. Can somebody please tell me what im missing? You need an RF mod. I minecraft crash after I put the sand or gravel in the car a sieve! What should I do ? Does anybody know with the automatic sieve, how many fortune upgrades is the 'max' or before it stops making a difference. it always make diference but if you want to do more i think you can change it on configs to make lots of emeralds and diamonds... i think.